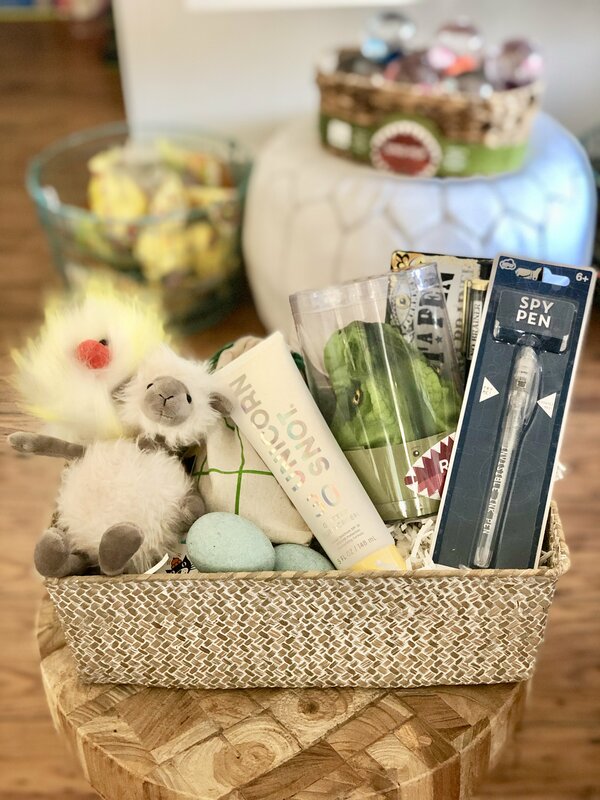 If you’re wondering what to put in those baskets besides peeps and jellybeans, we’ve got a great little Easter Basket Goodie Guide for you today…Enjoy! 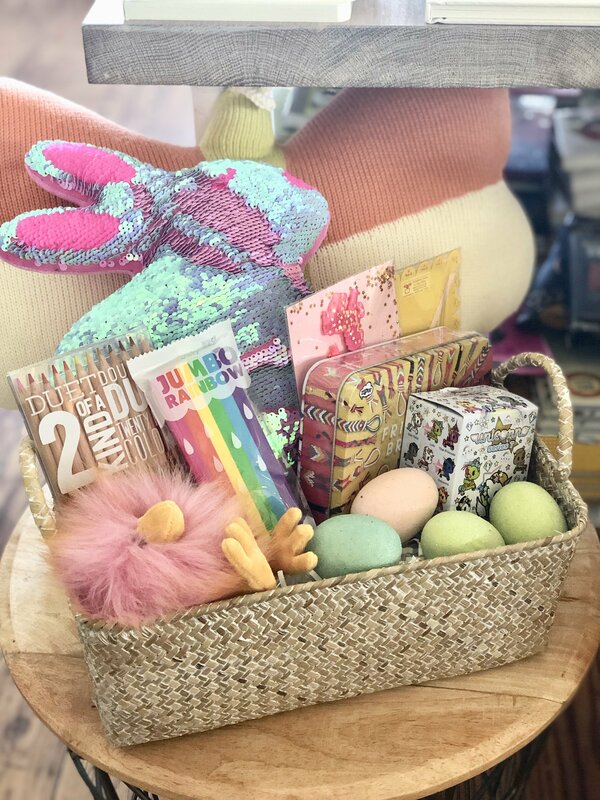 How cute is this basket?! 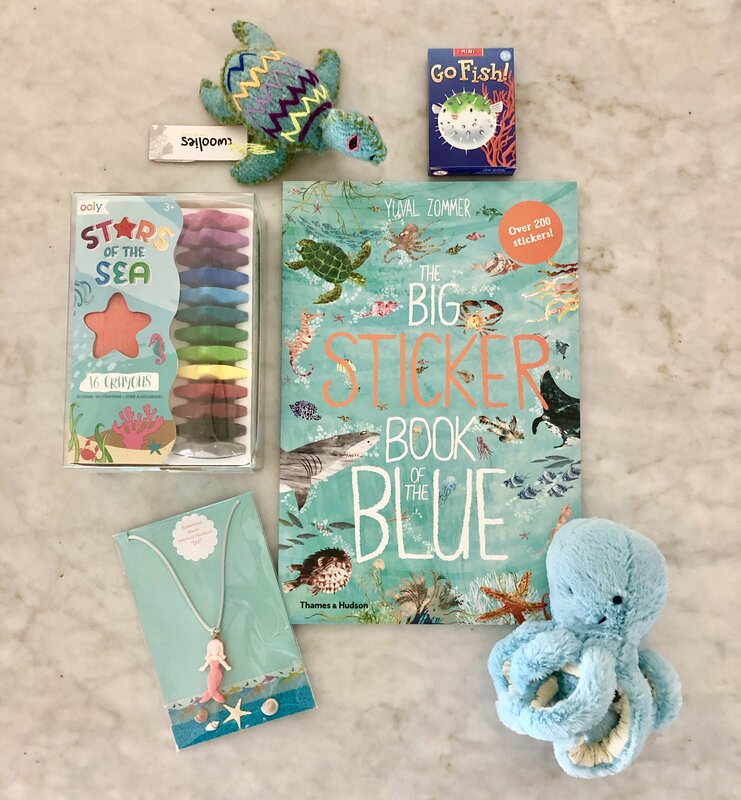 Twoolies Sea Turtle $18, Go Fish card game $5.75, Big Sticker Book $14.95, Cute little octopus $16, Mermaid necklace $28, Star shaped crayons $14. 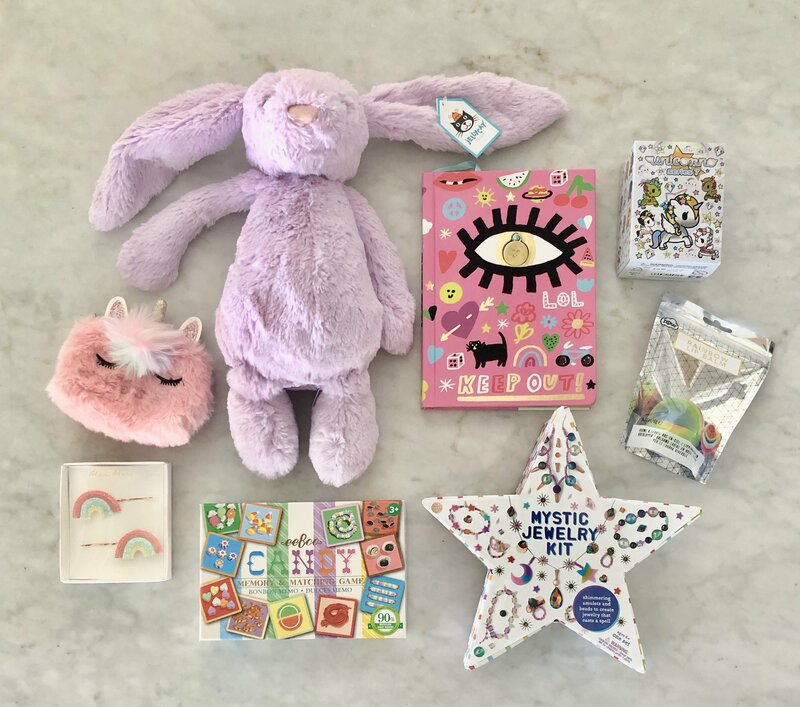 Purple bunny $23, All Seeing Eye diary $14.99, Unicorno series 7 $8, Rainbow lip balm $6, Mystic Jewelry making kit $22, Candy memory game $12, Rainbow hair clips $9, Unicorn coin purse $12. 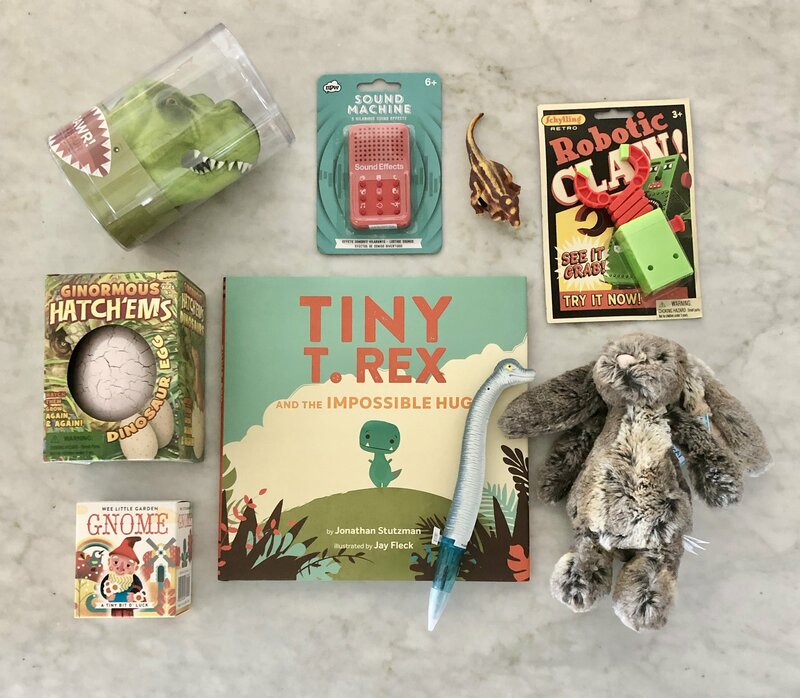 Look at those fuzzy little guys! 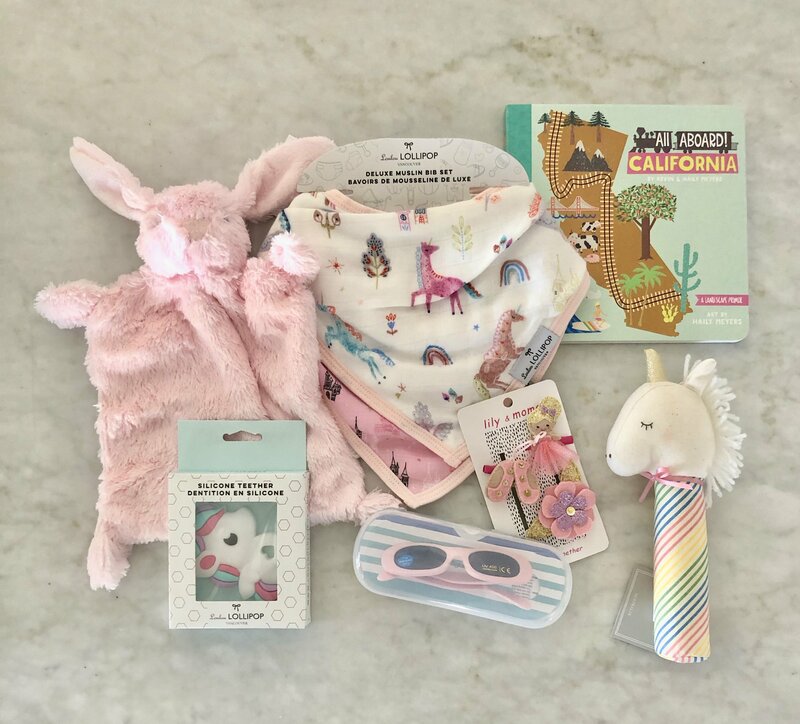 Flat lovey bunny $18, Set of 2 unicorn bibs $18, All Aboard California $9.99, Unicorn squeaker $17, Ballerina hair clips $12, Baby sunglasses $16, Unicorn teether $12. 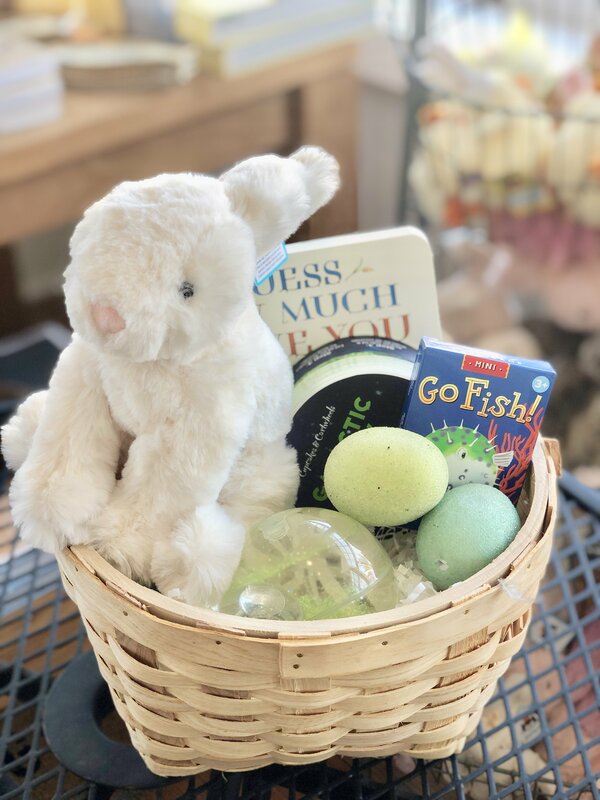 Who says Easter baskets are just for kids? 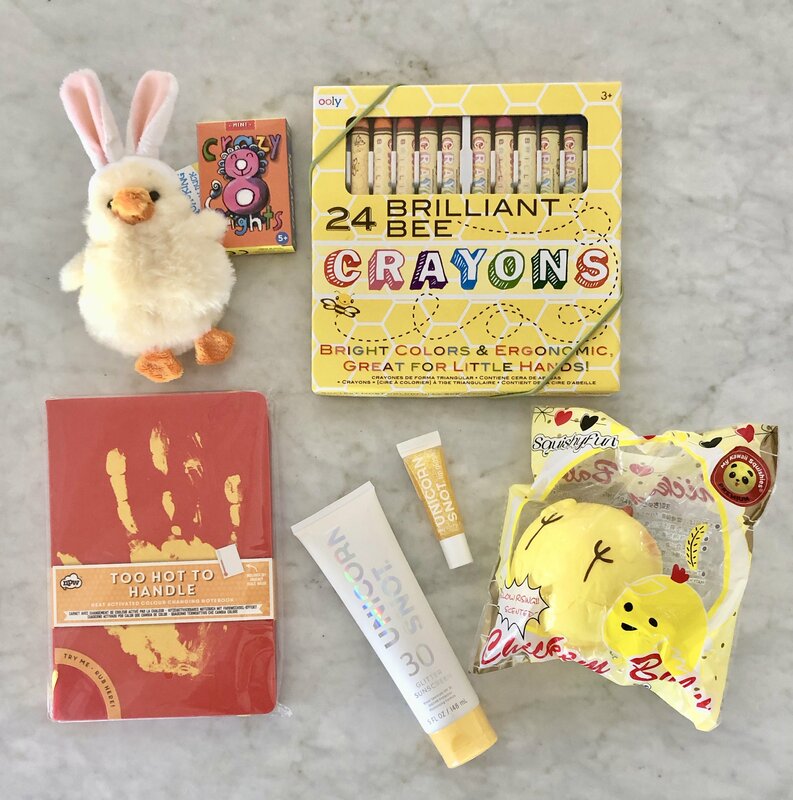 I’ll be bringing something like this to my Mama who hosts us every year. 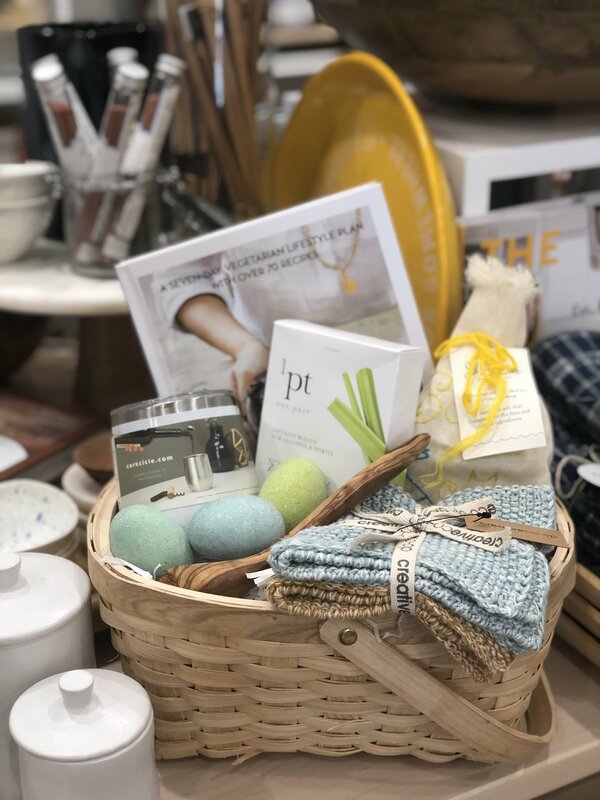 Hop on in and let us help you make up the perfect basket. We hope to see you soon. 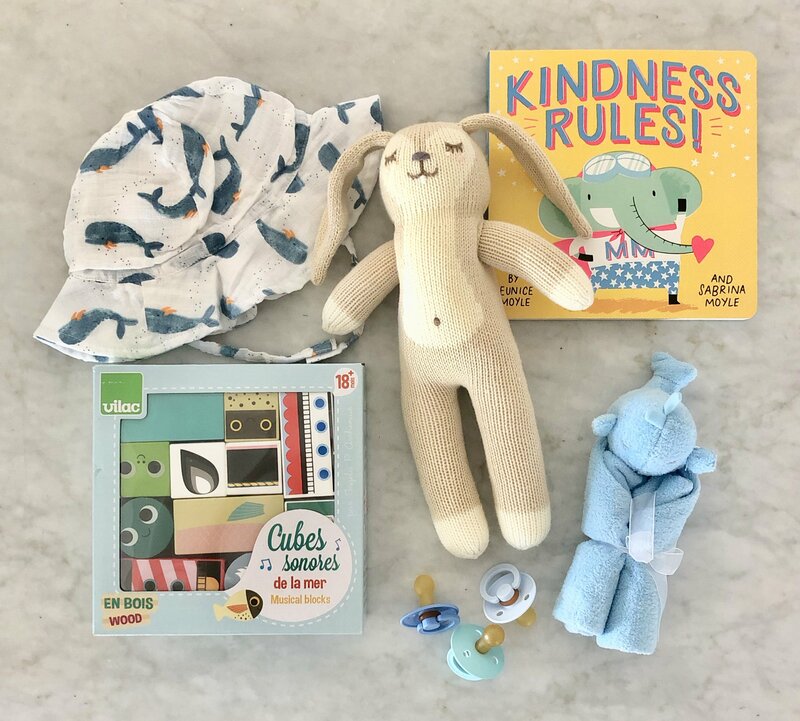 This entry was posted in Gum Tree Shop and tagged gift guide by Lori.